Md Monoarul Haque was born in Dhaka, Bangladesh. He has done PhD under Faculty of Medical Studies in Bangladesh University of Professionals (BUP). He got NOMA Grant from University of Oslo, Norway for research. Besides he got one year teaching & research fellowship Funded by USAID Developing Next Generation of Public Health Experts Project (NGPHEP). He is a member of Geneva Foundation for Medical Education and Research. He has number of publications in International Open Access peer reviewed index journals. As a young scientist he is expert on editorial writing also and already lot of editorial has been published. At present he is working as Assistant Professor, Department of Public Health, Fareast International University. Laura G. has completed her PhD at the age of 34 from “Carol Davila” University, Bucharest, Romania. She is the Medical Director of a Psychiatric Hospital in Ilfov County, Romania. Her professional development includes many participations at national and international conferences and congresses with posters and oral presentations, participations as subinvestigator in pharmacological studies, publications in medical Romanian journals and a membership in WPA. She graduated a seminar of psycho-oncology and attended a psychotherapy course in counselling. Dr. K. Dinesh Kumar has completed his PhD from University of Madras, Tamilnadu, India. He has been awarded with CSIR-UGC fellowship for his doctorate Programme, moreover he is a DAAD awardee, to pursue part of his Doctoral Work at Helmholtz Zentrum Munchen, Munich, Germany. He is a gold medalist in his under graduation. 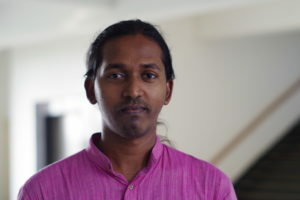 Currently he is working as an Assistant professor at the Department of Epidemiology and Public Health, Central University of Tamilnadu, Thiruvarur, India. He serves as a reviewer in several international journals such as Ophthalmology, Molecular vision, Autism, Plos One etc. He was also editorial board member of International Journal of Ophthalmic Research. He was life time member of Global Psychology and Language Research Association. Notable awards of him were, DAAD Research fellowship, DST-DFG award for participation in the 68th meeting of Nobel Laureates and young scientists, held at Lindau, Germany. Youth for cleanliness award for active participation in NSS. Airlangga University. He had 15 international publications. He has been serving as an editorial board member of national and international journals. 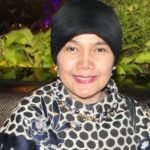 His current position is the President of Indonesian Neurological Association (INA). Roland Schott has completed his MD from Université Louis Pasteur (Strasbourg I), France. He is a Medical Oncologist at Centre de lute Contre le Cancer, France. He has over 200 publications that have been cited over 200 times, and his publication H-index is 20 and has been serving as an editorial board member of reputed Journals. Mira Racolli is currently working as Physician at UHc mother Theresa, Albania. He/she is the President of Albanian Society of Neurology. He/she has over 150 publications that have been cited over 200 times, and his/her publication H-index is 18 and has been serving as an editorial board member of reputed Journals.